Nose: Grape jelly, alcohol, blueberries, blackberries, clove. On the palate: Medium bodied and sweet. Strawberry jam, grape juice. Finish: Black currant, oak. Fades fairly quickly. Parting words: Bin No. 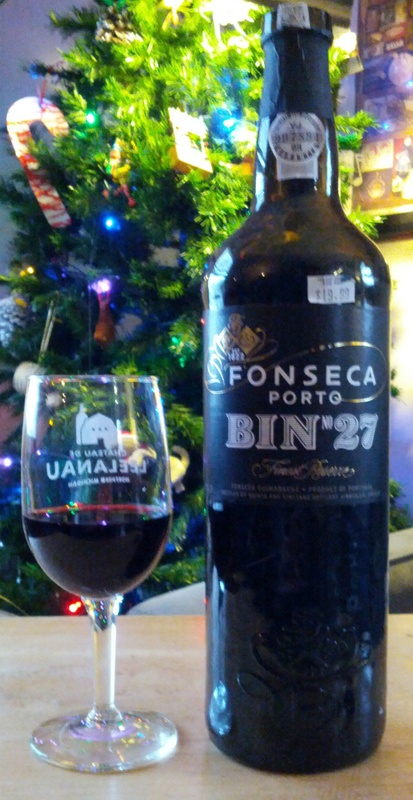 27 is a fine Port at a decent price, but without much to distinguish itself from the competition. For a “super ruby” I would expect a bit more punch, but if you’re looking for a tasty, easy drinking Port for after a festive holiday feast Bin No. 27 does the job. It is recommended.